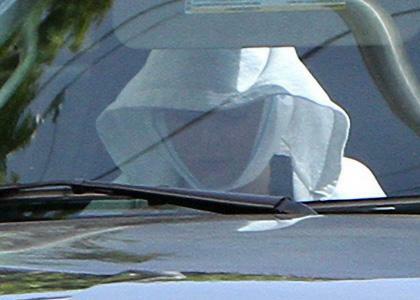 Tending to her dental health needs, Lindsay Lohan was spotted wearing a bandage around her face after leaving a medical office in Los Angeles, California on Tuesday (June 1). Wearing a white hoodie, the “Georgia Rule” actress looked to be a bit groggy after having her wisdom teeth taken out by her local dentist. Currently the subject of random drug tests, it’s still unknown whether or not the dental operation will allow Lindsay temporary access to pain medication - with parties unable to comment on the matter at the present time.